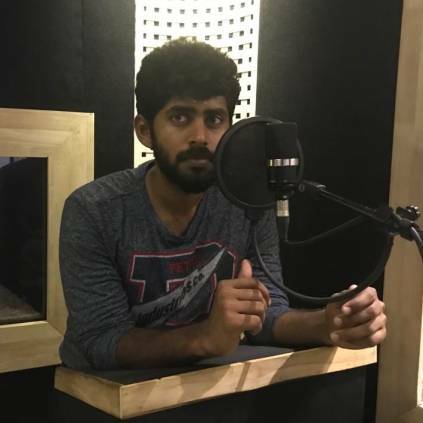 Actor Kathir, who won a lot of love after his stellar performance in ‘Pariyerum Perumal’, is currently a part of Vijay’s ‘Thalapathy 63’ and ‘Jada’. He was last seen as a cop in ‘Sathru’, directed by Naveen Nanjundan. Meanwhile, here’s a super update on ‘Jada’. The dubbing of the movie has started today, and from the looks of it, an update on the teaser might be out soon. Directed by Kumaran, this movie is a sports drama. ‘Jada’ stars Kathir and Roshini in lead roles, while Yogi Babu will be playing a crucial role. It has music by Sam CS and cinematography by Richard M Nathan. Kathir’s ‘Thalapathy 63’ is also touted to be a sports-based film. Stay tuned for more updates. People looking for online information on Jada, Jada dubbing, Kathir, Yogi Babu will find this news story useful.